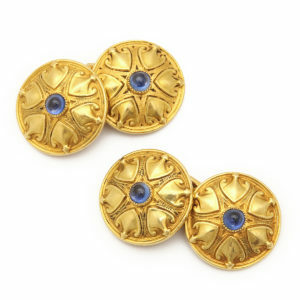 Utilitarian and decorative, cufflinks have an interesting background. For much of history men’s shirt cuffs were hidden beneath outer garments, as their exposure was considered indecent. This began to change in the sixteenth-century when ruffles, the antecedent to the modern cuff, appeared on men’s dress. In the following centuries men began to adorn their wristbands with buttons, but it was the starched cuffs of the mid-nineteenth-century that necessitated an easier fastening solution, heralding the era of the cufflink. In fact, shirts with attached buttons were fairly uncommon, ensuring the widespread use of this accessory. 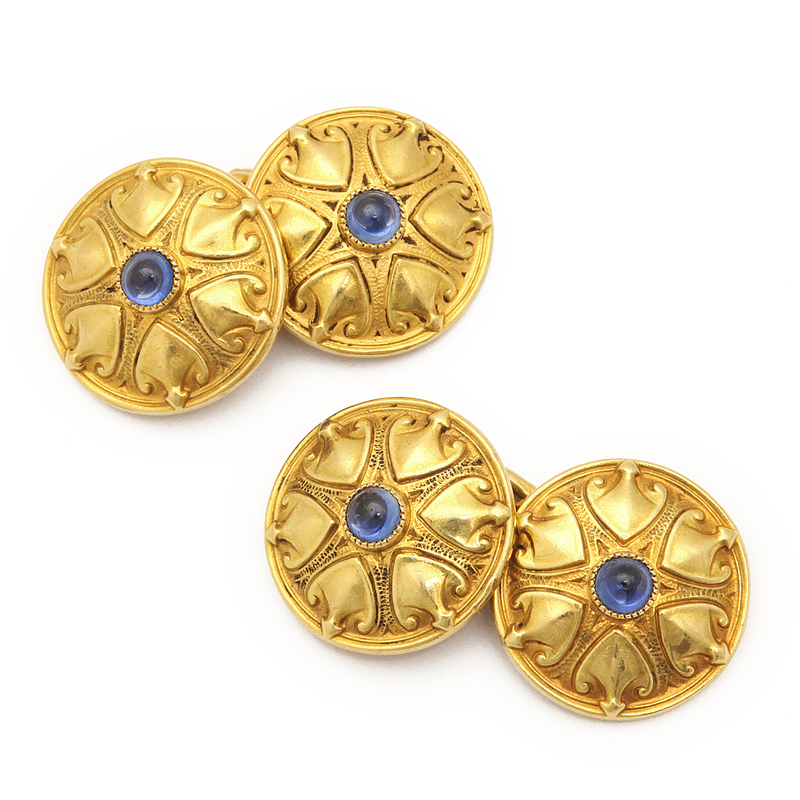 Common among the middle and upper classes from this point onward, cufflinks were a welcome addition to the Victorian gentleman’s rather limited repertoire for sartorial expression. 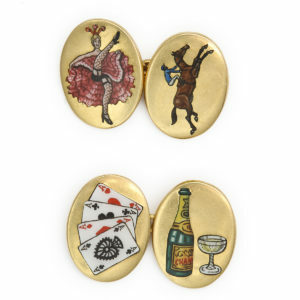 A range of whimsy in cufflink designs allowed a man to show a bit of his personality through common themes like playing cards and sports. 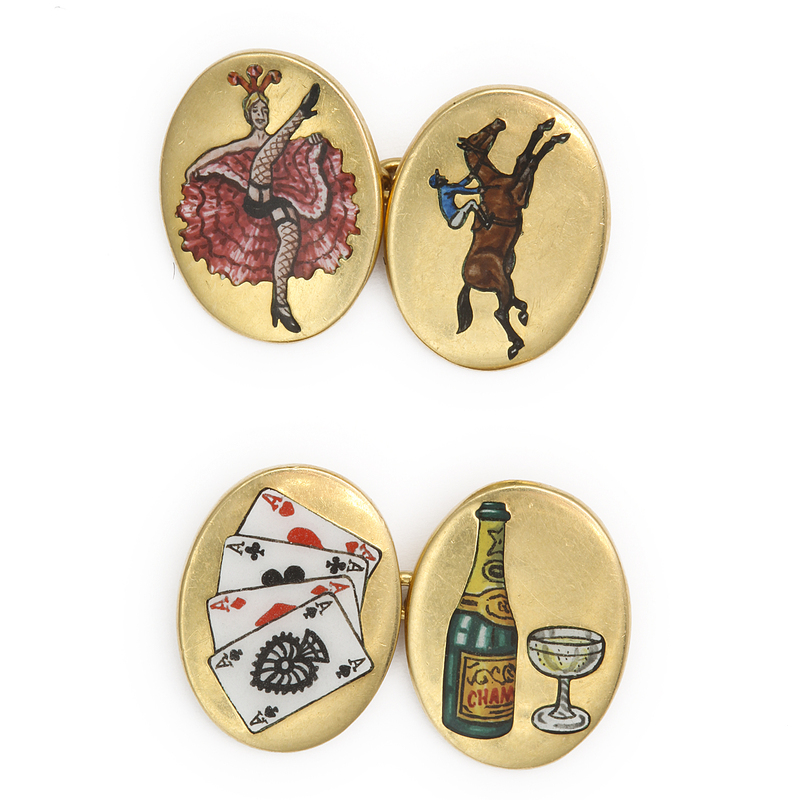 Antique cufflinks provide the gentleman of today with both curiosity and brilliance to enhance his wardrobe, and perhaps, more importantly, a story on his sleeve.